Curaçao visual artist Tirzo Martha is honored with a special exhibition in the Netherlands. November 3, 2017 till February 4, 2018. Tuesday till Sunday: 10AM – 5PM. 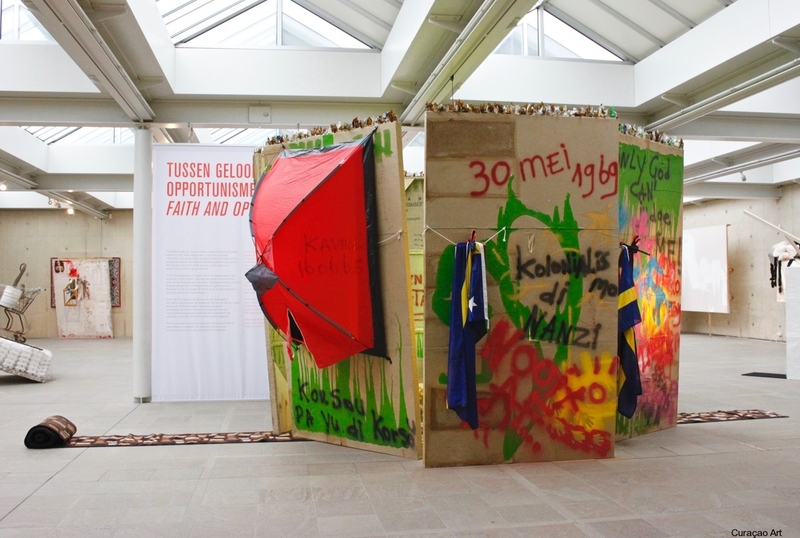 The work of Tirzo Martha (Curaçao, 1965) has been featured in the United States (Brooklyn Museum), Germany, Portugal, Curaçao, Martinique, Santo Domingo and Cuba. Visit the Blog of art historian Esther Schreuder for a review with pictures on the exhibition of Tirzo Martha! 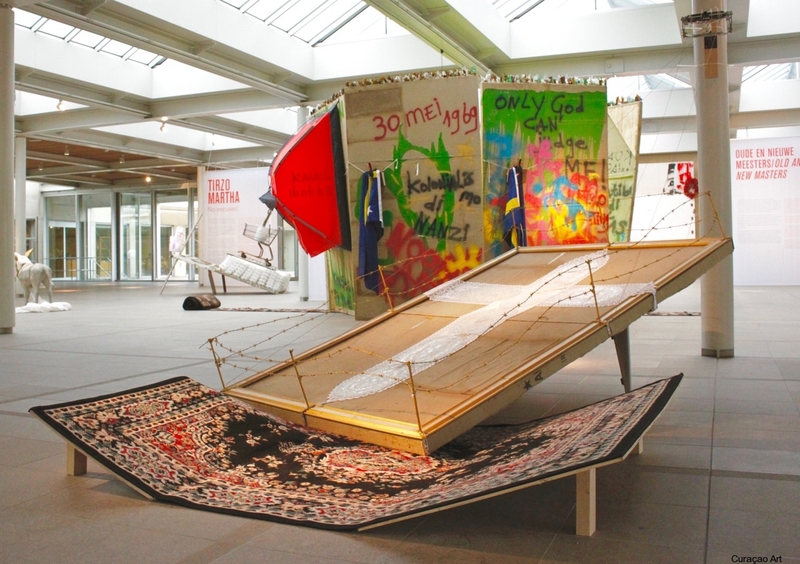 Museum Beelden aan Zee is presenting the first solo exhibition of Tirzo Martha in the Netherlands. 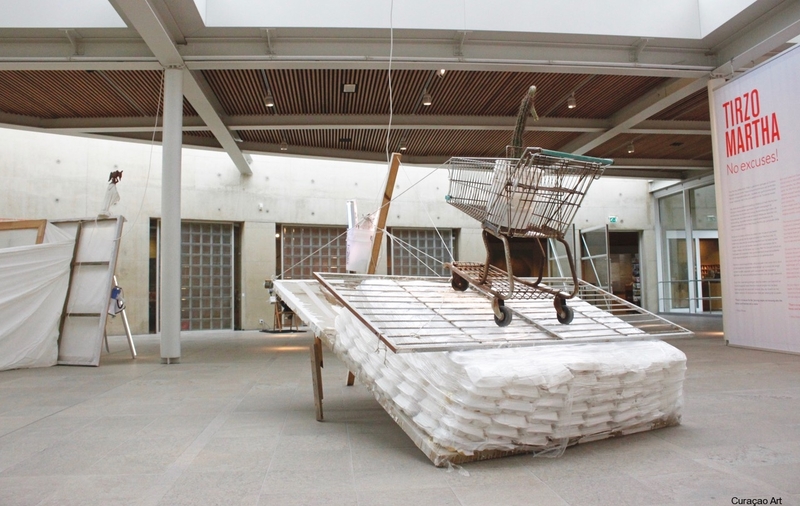 He is an internationally renowned contemporary artist. All exhibited work has been made especially for this art show. During the exhibition Tirzo is also creating a new monumental installation: ‘Het Monument van het Samen’ (A memorial for the collective). The public can witness the process in the large salon of the museum. Working together and collaborating with different groups is characteristic for his working method. 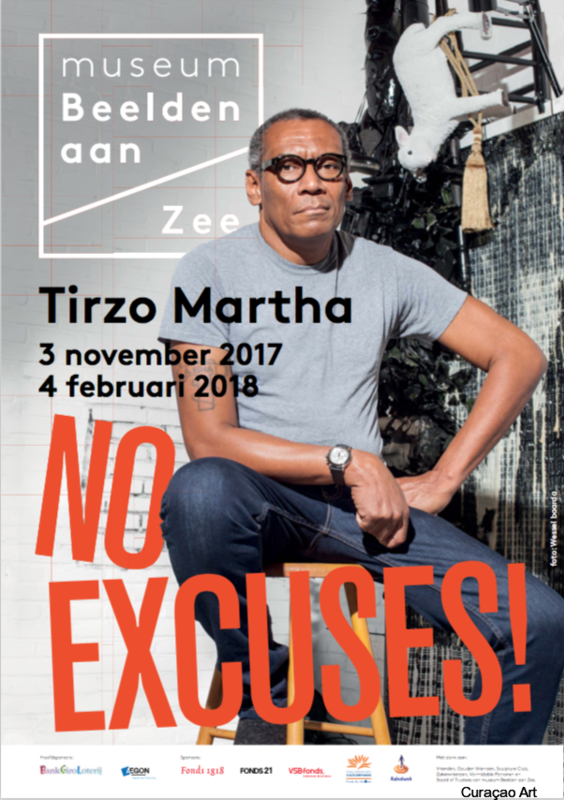 On November 10th, the first monograph on the work of visual artist Tirzo Martha was presented at museum Beelden aan Zee in The Hague. An extensive publication, edited by Rob Perrée, design by Edwin van Gelder/Mainstudio and published by Jap Sam Books. The book is sponsored by Fonds Ars Antilliani administered by Prins Bernhard Cultuurfonds, Mondriaan Fund and the Harten Fonds. 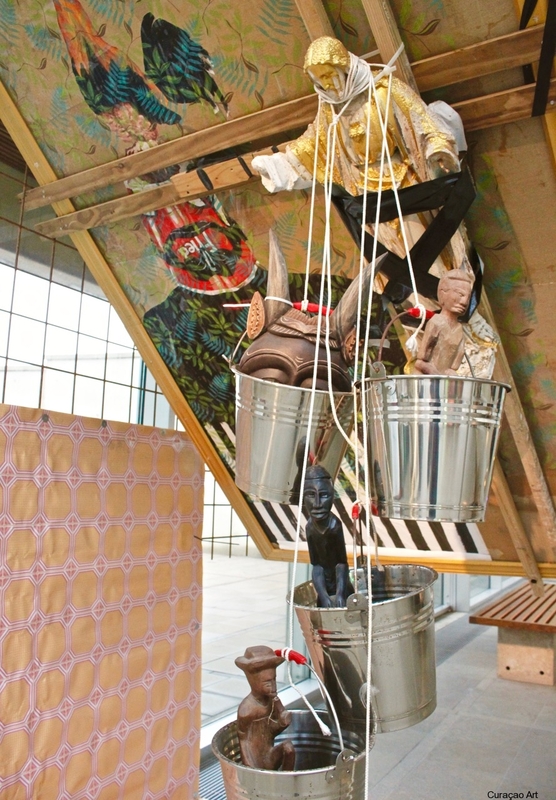 Tirzo Martha – I wonder if they’ll laugh when I’m dead includes an intriguing compilation of his art works. 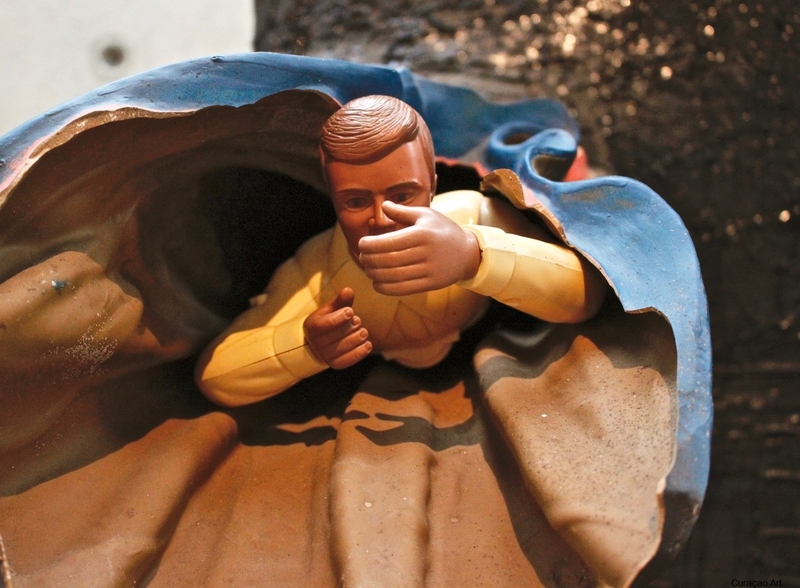 A selection of his newest installations will be on display in the exhibition No excuses! from November 3, 2017, till February 4, 2018, in the museum Beelden aan Zee. Martha is driven by a deep engagement with the world around him, inparticular with Curaçao and the Caribbean. 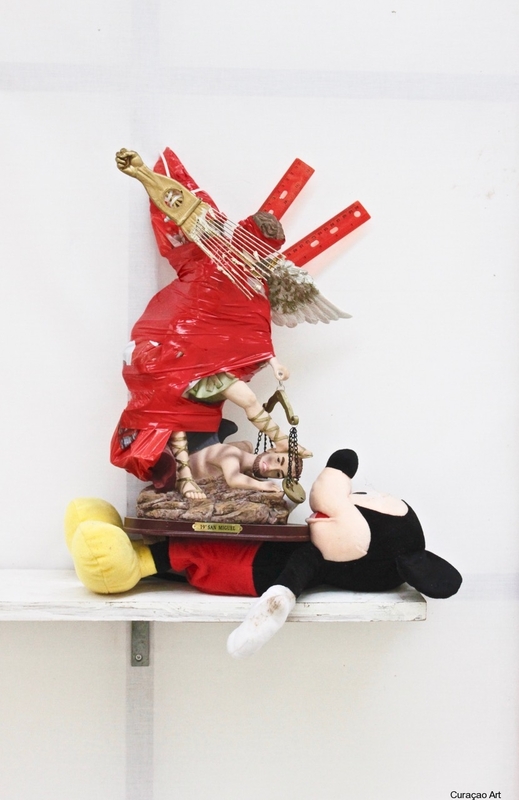 His versatile, critical, political and socially charged oeuvre include images, installations, assemblages, video and performance. An overview is collected an put together in this monograph. Rob Perrée (ed. ), Tirzo Martha, I wonder if they’ll laugh when I’m dead, Jap Sam Books 2017, 304 pages, 16.8 x 23.5 cm ISBN: 978-94-90322-88-5 | € 29,50. Design: Edwin van Gelder, Mainstudio. With contributions by Tirzo Martha, Kitty Zijlmans, Annie Paul, Jennifer Smit, Michèle Dalmace, José Manuel Noceda Fernández, Carlos Garrido Castellano, Orando Britto Jinorio, Yacouba Konate, Adi Martis, Rob Perrée, Alex van Stipriaan. 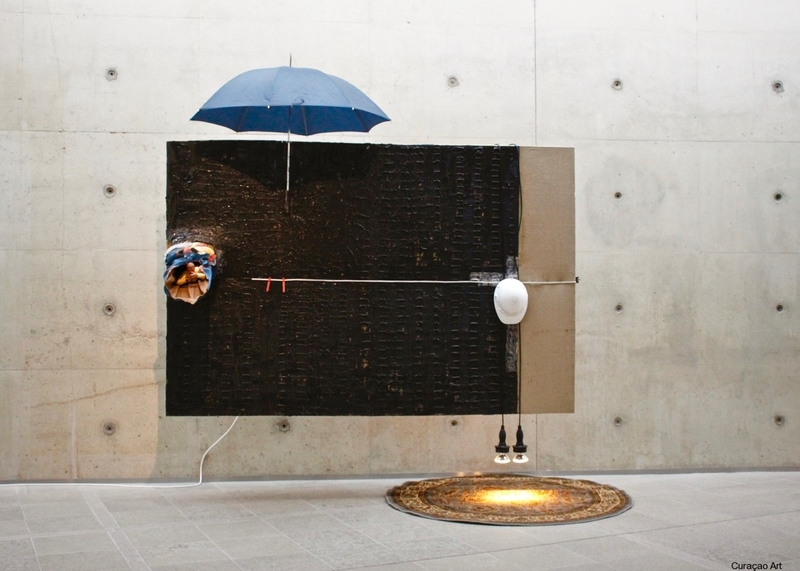 Made possible by the Fonds Ars Antilliani administered by the Prins Bernhard Cultuurfonds, the Mondriaan Fund and the Harten Fonds. 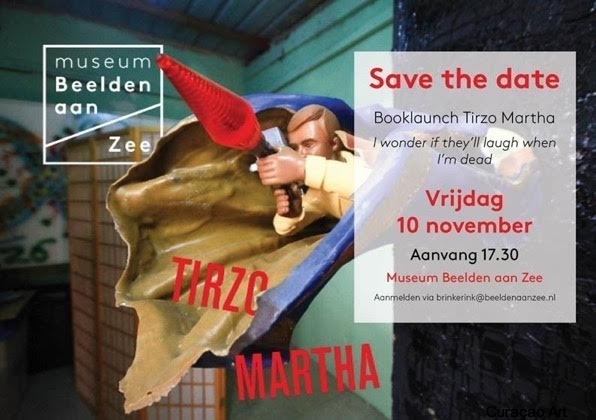 For more information: https://nl.japsambooks.nl/collections/nieuwe-titels/products/tirzo-martha-i-wonder-if-theyll-laugh-when-im-dead and http://tirzomartha.com. The exhibition remains till February 4, 2018.